Sam Houston State University has a new Global Center for Journalism and Democracy to provide resources, on-the-ground training, and online courses to journalists all over the world, especially in emerging democracies. Dedicated to promoting a free press around the globe, the center will work with citizen journalists who are providing vital information in places mainstream journalists cannot. It will also work with journalists with a specific interest in covering world economies, politics and elections, the environment, health, criminal and international justice, the energy sector and conflict zones. Partnering with local organizations, GCJD's first training sessions will involve journalists from throughout the Middle East and North Africa. "There is so much demand for training in the region. We are proud to assist journalists as they educate and inform the public and hold officials accountable,” said GCJD executive director Kelli Arena. Arena is an Emmy award-winning journalist who spent 25 years covering major stories around the globe for CNN. She also holds the Dan Rather Endowed Chair in the SHSU Department of Mass Communication. GCJD will also bring speakers from around the world to Huntsville to talk about issues of global importance. 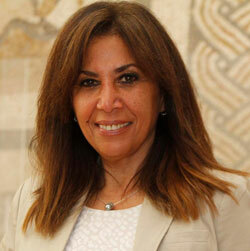 The center's first featured speaker will be Shahira Amin, an Egyptian journalist and activist. She will offer an insider's look at the dramatic changes taking place in the Middle East and North Africa, what it means for the region, the United States and the rest of the world. Amin's speech is free to the public and will be given at James and Nancy Gaertner Performing Arts Center Payne Concert Hall from 6-7 p.m. on Oct. 29.